This Revolution uses the backdrop of the 2004 Republican National Convention to enter the realm of activists and their anti-Bush protests. It has a heavy indie vibe which works well for everything except the ending (it's a little far-fetched). 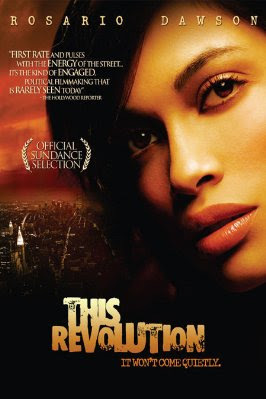 Rosario Dawson doesn't have a lot of screen time but her scenes are the most poignant.